the vocabulary used is very precise. Unless you are a professional in botany, it is impossible to understand the content of these articles. That’s why we have created for you a small glossary containing all the vocabulary about orchids. These words are often repeated on orchid blogs, now thanks to this lexicon, you will be able to understand everything. Aerial Root: are roots that are wholly or partly above ground. Backbulb: it is a pseudobulb that exists on certain types of orchids, without leaves. When the orchid has finished growing, it stays on this one. It allows it to produce a new plant. Bud: Outgrowth on the stem of a plant that contains the germs of a leaf or flower. It’s the initial form of the plant. Bud blast: is a very disappointing phenomenon when it occurs. This is when the bud is not yet open and falls off the spike. The bud blast is often caused by a sudden climate change. Cane: it is the name of the stem of a Dendrobium orchid. The flowers can bloom along this stem, all around, or bloom at the top of this cane. It depends on the type of orchid. Crown: It is at the end of the stem of the orchid, just before the beginning of the roots of the plant. Epiphyte: are plants that grow using other plants as a support. These are not parasitic plants because they only take their necessary nutrients but not to the detriment of their host. 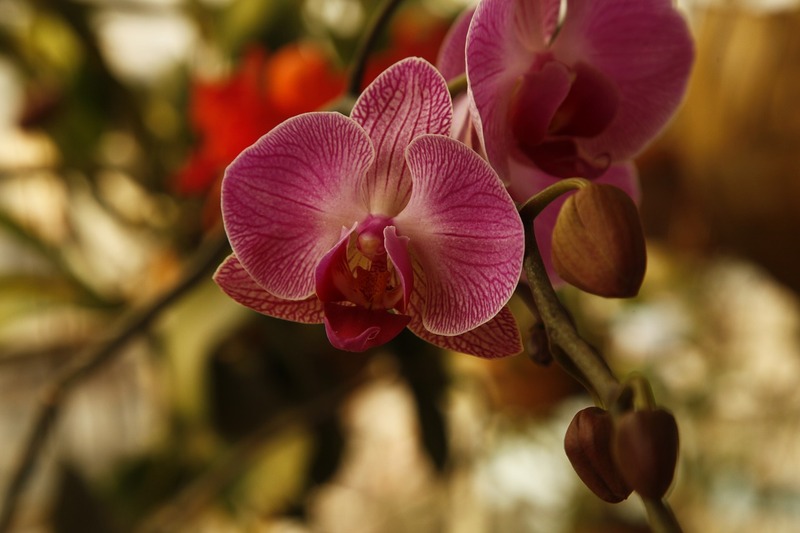 Some types of orchids are epiphytes, since they do not bloom in the soil, they have aerial roots. “Happy Sap”: when this happens, it’s good news. This phenomenon means that your orchid is fine and ready to bloom. This event is manifested by the presence of sticky sap beads on the orchid. Keiki: From the original plant, a new flower will appear on the orchid, it is called the Keiki. They can grow both at the base of the plant or along the cane or the strike. You can replant this Keiki or let it bloom on your orchid. Medium: it is the type of support where the orchid blooms. Depending on the race of the orchid, it will have a specific type of support for its development. For example in Thailand, many orchids bloom on coconut husks. Monopodial: an orchid is monopodial when it grows on a single stem. Node: this is where the flower starts to grow. They can extend into branches and contain several buds or leaves. NOID: it is an acronym for defining an orchid whose species is unknown. You can find a lot of NOID in supermarkets. Pseudobulb: It is an organ of the orchid that stores water and nutrients. They are in the form of a swollen stem. Some orchids have pseudobulbs, not all of them. Rhizome: the rhizome is the subterranean and sometimes underwater stem filled with food reserves in some perennials. This stem makes it possible to produce new roots and shoots. Sheath: it is an enlarged base of the leaves enveloping the stem, it contains buds until their flowering. Side shoot: Thanks to the side shoot, more flowers can bloom. It grows on an already existing node in the form of a spike. 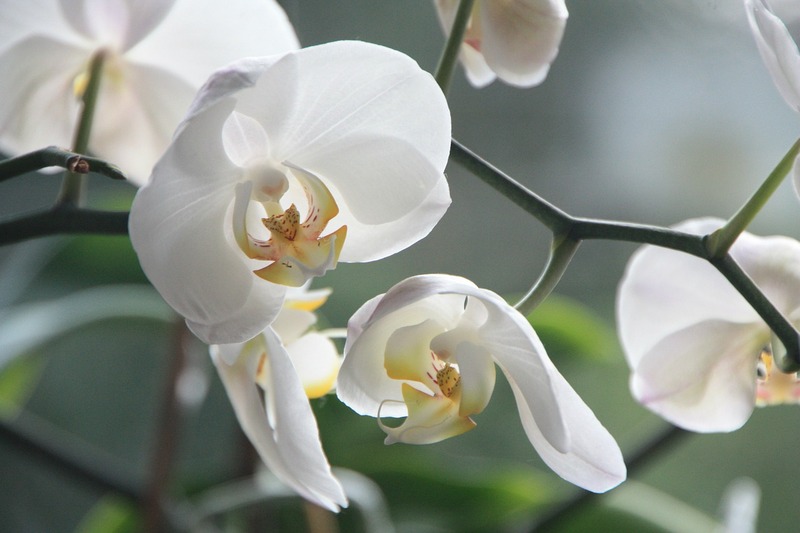 Spike: this term refers to the stem of an orchid. This one grows among the leaves of the orchid or at the beginning of its roots (crown). Sympodial: it is the opposite of monopodial, if the orchid is sympodial then it will develop on several stems. When there is a presence of pseudobulbs, the orchid is necessarily sympodial.